This is a 776 page tome on astrology from a spiritual perspective with detailed sections such as: The Principles of Astrology, The Structure of the Universe, The Planets and the Chakras, The Astrological Houses, Planets in the Signs, Planets in the Houses, The Wheels of Life, and more. Check out this and other cool books from North Atlantic Books. Yandara Ocean Front Yoga Teacher Trainings in Baja. 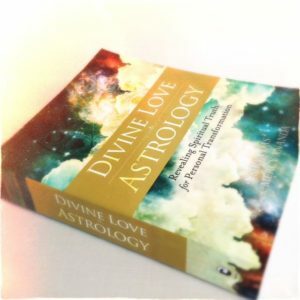 Come for your yoga training and leave with a Divine Love Astrology. Please contact us with any other suggestions for bookstores or web sites that might like this book.